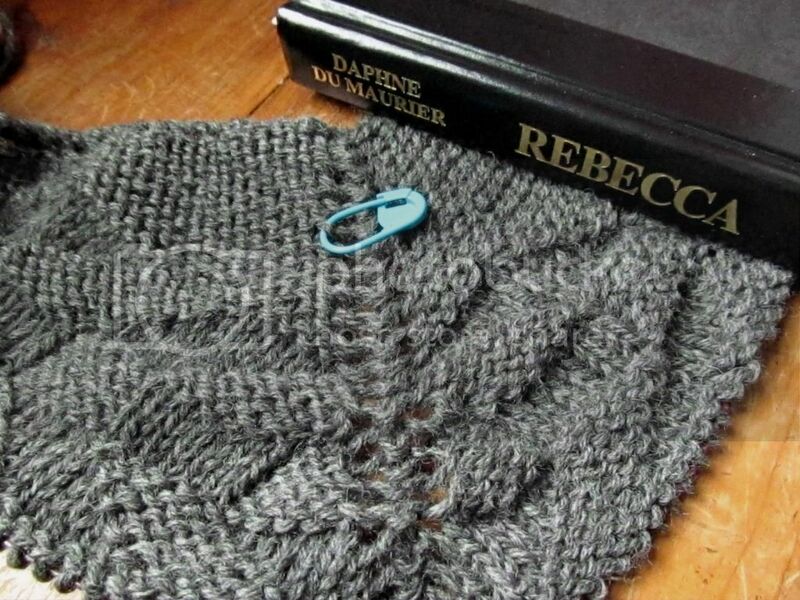 Reading: Rebecca, by Daphne du Maurier. I've been wanting to read this book for a long time! I really enjoy the Hitchcock film, and I've heard good things about the book itself. Rebecca is about a girl who ends up marrying a man she doesn't know much about. When they return to his estate after the honeymoon, she realizes that the memory of his first wife, who died a year before, still rules over the house. (In a psychological way, not a ghosty way.) It's a creepy, mysterious, atmospheric Gothic story that's a bit reminiscent of Jane Eyre. Anyway, I'm really enjoying it so far. Knitting: A big cozy shawl! It's not very big or cozy yet, but that's the end goal. :) It's the Onward Shawl, which has lots of neat texture that comes from a pattern of knit and purl stitches. I know that most people avoid knitting with grays in February and other cold winter months, but I don't mind it. I want to finish this shawl before I start on my next sweater (which I'm really looking forward to)...I try to only have one large-ish knitting project going at any time. Rebecca sounds very interesting. I'll have to check it out! very pretty shawl. love the angles! Oh, I really love this book. It´s a great story. One of the book which I really regret, I had already read it.